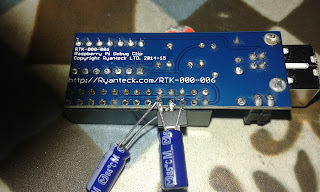 I recently Acquired a RyanTeck Debug clip and in a previous blog post I assembled and set it up. 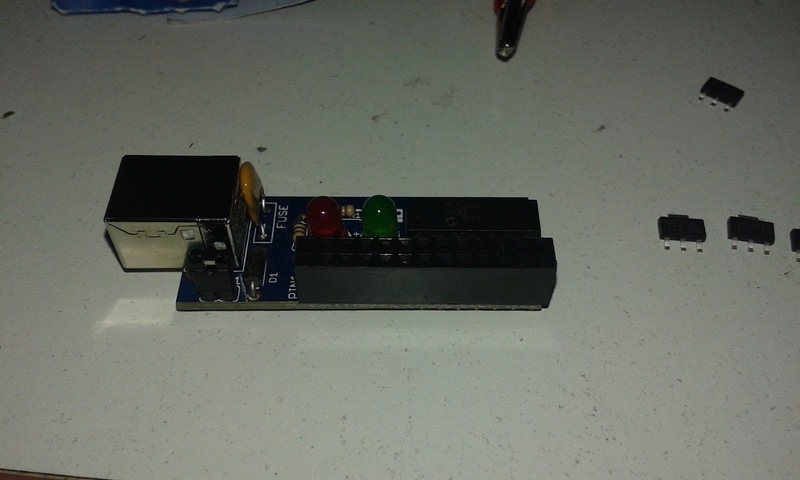 It work brilliantly with the Raspberry Pi but I would like to use it in some of my other projects and put it through its paces or at least the USB bridge IC the MCP2221 by Microchip. The first thing I want to do is hit the data sheet and see what other functions the MCP2221 is capable of. OK, Ryan Tech I have to admit this chip is really cool I hadn't noticed that it has an onboard ADC as well. 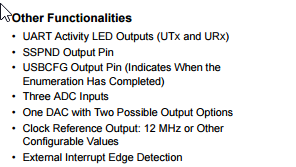 This is all on top of the standard GPIO, UART and I2C capabilities. Soldering a header into the the debug clip. 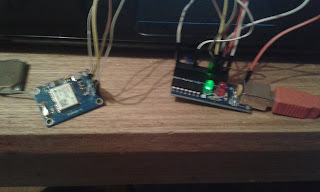 This is mainly so I am able to use jumper wires to hook it up to other devices. For me I find female socket most useful for the stuff I like to mess with. 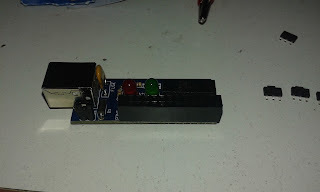 This just allows to make the connections mainly the first one being connecting the power so the debug clip can run without being attached to the raspberry pi. Powering The debug clip without a raspberry pi. The Debug clip has a voltage fail safe mainly for the Raspberry Pi. The MCP2221 runs from the 3v3 voltage rail of the RasPi but this also means it will not run on its own. 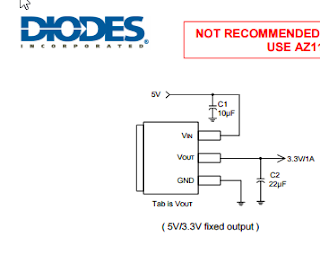 This is fixed by using a a jumper wire between the 5v connection and the 3v3 . 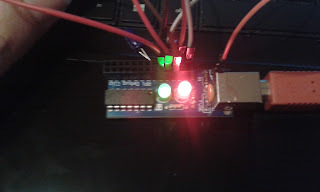 WARNING: This will mean the debug will be running at 5v do not connect to the RasPi's or other 3v3 devices GPIO It could damage it. This is why I use the socket and jumper wire without soldering at the moment. This is a bit of a dirty hack to get the 3v3 power onboard. I have a few AP1117 LDO 3v3 voltage regulators. 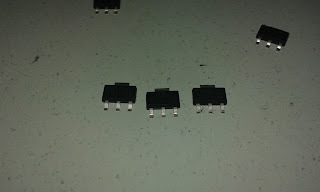 I'm going to hack one onto the underside of the board this will give me a selectable 3.3volt supply. A few flying decoupling caps as recommended in the application notes. A bit of jump leading on the to and all is well. Now the UART is running at 3v3 again without a raspberry pi. 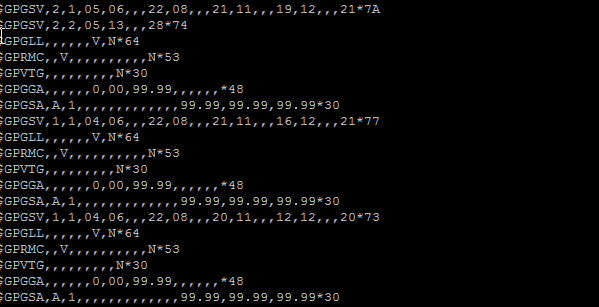 and now running with a Ublox Neo-6M GPS module. 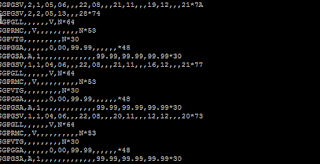 With some nice tangible data returning to putty. I'm doing this indoors so I don't have a GPS fix but the data connection work very well. 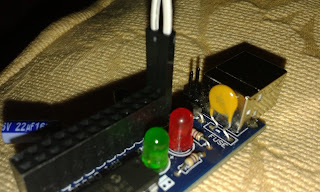 There will be more hack coming with the debug clip like changing its function and using the I2C interface, and this little device is sure to make an appearance as useful tool in future posts. Father of three married to my beautiful Schatzi :) ,Hacker, Maker and Tinkerer of everything. Electronics production manager at Pimoroni ltd.